Joseph J. Fauliso, the Senate leader who became lieutenant governor upon the resignation of his dying friend, Gov. Ella T. Grasso, on Dec. 31, 1980 and then held the job longer than anyone in more than a century, died Wednesday after a brief stay in hospice care. He was 98. 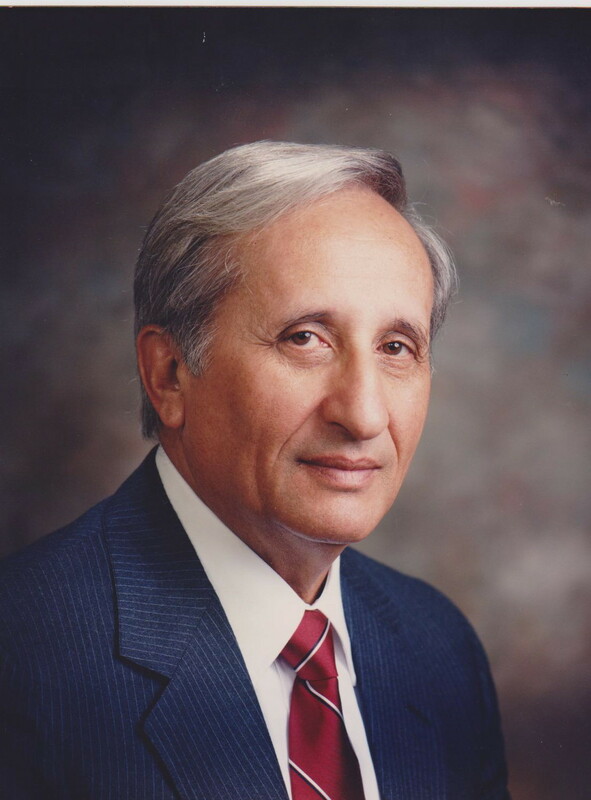 In a career that spanned nearly 50 years, Fauliso rose through the political ranks as ethnic Catholics came to dominate political life in Connecticut, led by the legendary Democratic boss whom Fauliso would come to know as a law partner, John M. Bailey. In early 1980, he was 64 and ready to quit politics after 14 years in the Senate, the last six as its top leader. Grasso prevailed on him to run for one last term, preferring to see a reliable ally in charge as she finished the last two years of her second term. By year’s end, she was gone from office, dying from cancer. Lt. Gov. William A. O’Neill succeeded Grasso, and Fauliso automatically succeeded O’Neill as lieutenant. When O’Neill asked Fauliso to run with him in 1982, he again delayed retirement – this time for nearly a decade. The ticket was elected in 1982 and 1986. He left office with O’Neill in January 1991 after a tenure of 10 years and eight days. Fauliso was born Feb. 23, 1916 in Stonington, near the Rhode Island border. He attended Providence College and then earned a law degree from Boston University. But his career in politics was a product of Hartford, where he was elected a city alderman in 1943 under a long-gone city charter, then served as a judge in municipal and state courts before his election to the state Senate in 1966. Machine politics dominated City Hall and the State Capitol as he began, slowly yielding to the clamor of the times. Hartford adopted a city manager government in 1947, a trend sweeping mid-sized cities. (It has since returned to a strong-mayor government.) With political nominations controlled by conventions, not primaries, Bailey wielded influence unimaginable today. The General Assembly underwent a rapid transformation during Fauliso’s tenure, professionalizing its non-partisan staff to develop research capabilities independent of the executive branch. Until 1971, its regular sessions were held in alternate years. The Nixon landslide of 1972 broke the Democratic majority that had controlled the Senate since the late 1950s, a blow to Bailey. But the post-Watergate landslide of 1974 swept out the Republicans just as quickly. The new Democratic majority elected Fauliso to the top leadership post of president pro tempore in January 1975, the same day Grasso took office as governor. Three months later, an era ended with the death of their mutual mentor, Bailey, who had been state party chairman since 1946. Fauliso had come of age during the Great Depression and the New Deal of Franklin D. Roosevelt as the son of a blue-collar worker, an experience that friends say shaped his view of the role of as a protector of the poor. But he also was a devout Catholic, aghast at the legalization of abortion after the U.S. Supreme Court’s 1973 ruling in Roe v. Wade. Known for his flowery and passionate oratory, his floor speech was credited with helping to defeat right-to-die legislation in 1979. He and O’Neill struggled at times to reconcile their own conservative views with a legislature that was becoming more liberal during the 1980s. With a loosening of nomination rules, conservative Democrats found themselves challenged in primaries by liberals. As lieutenant governor, Fauliso took on a series of project’s for O’Neill: the Governor’s Development Cabinet, the Governor’s Task Force on Safety in Public Buildings, the Missing Persons Coordinating Committee, the High Technology Council and the Task Force on Racial Harmony. Grasso had feuded with her first lieutenant governor, Robert Killian, who tried to deny her re-nomination in 1978. But Fauliso, who prided himself as a team player, fell into an easy relationship with O’Neill. He had a sense of propriety as lieutenant governor. In December 1981, when O’Neill underwent open-heart surgery after a heart attack, he yielded his gubernatorial powers to Fauliso. But Fauliso refused to be called acting governor, noting that no such title existed in the state Constitution. ”I am the lieutenant governor assuming the powers and duties vested in the governor,” he said, according to a news account. Fauliso is survived by his wife of 39 years, the former Ann-Marie Schwerdtfeger. His son, Dr. Richard Fauliso, died of cancer in 1993. He also is survived by: two sisters, Tina Woodall and Mary Blough, and her husband, Robert Blough; a daughter-in-law, Dr. Rita Fauliso of Seaview, N.H.; two granddaughters, Lenore Fauliso of Boston and Lucie Mann, and her husband, Charles, of Essex, Mass., and their children, Charles and Cecilia Mann; a stepdaughter, Sharon Bassock, and her husband, Stephen, of New Canaan; and a stepson, Scott Schwerdtfeger, and his wife, Wendy, and their daughter, Samantha. A funeral Mass will be celebrated at 10 a.m. Tuesday at St. Peter Claver Church in West Hartford. Calling hours are 4 p.m. to 7 p.m. Monday at the Molloy Funeral Home in West Hartford.